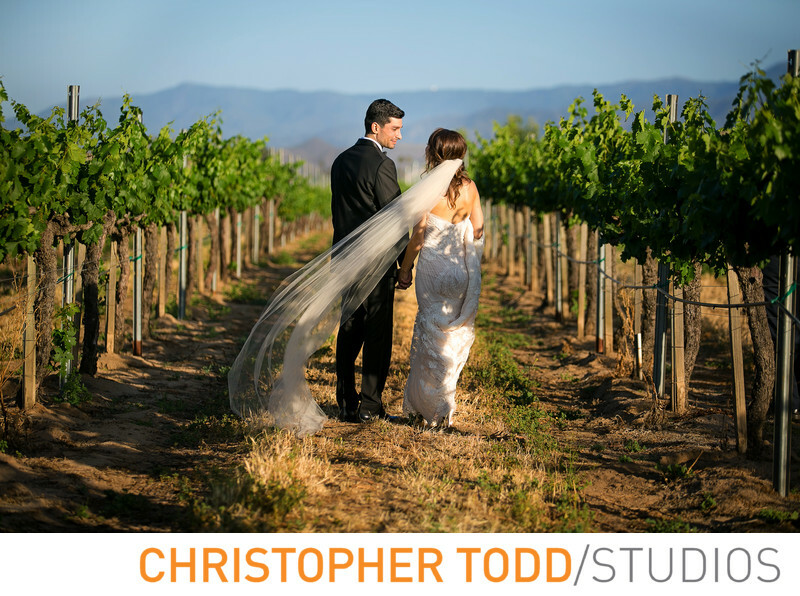 After the ceremony I took the bride and groom on a photo session around Ponte Winery. We started in the vineyard. The time of year was perfect with full leaves on the vines. The bride's cathedral veil blew in the wind to show the great length that it had. This is one of my favorite photos of the couple. 1/1000; f/2.8; ISO 100; 120.0 mm.